 As a blogger I am lucky in that I am very familiar with the internet and the advantages and dangers it holds, especially for our children. And as an educator I’ll be the first the admit the wonderful opportunities for learning that today’s technology, and especially the internet, provides. Yet at the same time, as parents, mentors and educators, we need to be fully aware of the troublesome issues that can arise as a result of these innovations such as cyberbullying and online privacy concerns. It is our job to protect our children and make sure they are safe. The Boys and Girls Club of America (BGCA) is also dedicated to keeping kids safe, and in today’s world, that includes being safe online. That’s why both the BGCA and Sprint are working together to help educate parents about internet safety awareness through the Cyber Futures Campaign. June is Internet Safety Awareness Month! 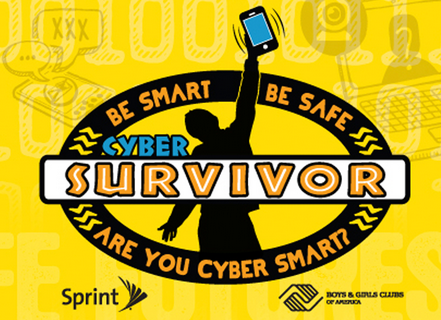 This month marks the third year of the BGCA and Sprint Cyber Safe Futures campaign. Throughout the entire month of June, parents are invited to learn more, and to submit their questions about cyberbullying, social networking, online privacy, mobile smarts and other cyber-related issues. BGCA’s Cyber Safety Ambassadors, a panel of Boys & Girls Club teens from all around the world, will answer those questions from a teens’ perspective. Their answers can help educate parents and other mentors to help kids and teens avoid risky situations online. After all, youth are often more knowledgeable and savvy than parents when it comes to technology and they can help parents realize the cyber issues and risks that kids face daily. In addition to the questions page, the BCGA Cyber Safe Futures site is filled with valuable information and resources to help educate parents. You can find additional internet safety resources, learn more about the BCGA Ambassadors, and even take a quiz which enables you to see if you are doing enough to protect your children online. Below are several shocking statistics I learned from the Boys and Girls Club of America website that illustrate just how important teaching our kids about internet safety can really be. Cyber bullying is related to low self-esteem, suicidal thoughts and actions, anger, frustration and a variety of many other emotional and psychological issues. 34% of students report experiencing cyber bullying in their lifetime. Only 7% of U.S. parents are worried about cyber bullying, even though 35% of students are victims of cyber bullying. 71% of teens use more than one social media website. 43% of teens have said that they’ve posted something online that they later regret. 51% of teens have shared personal information (address, school, etc) with strangers online. To learn more about internet safety issues, and to submit your own questions, head over to the BGCA Cyber Safe Site. And did I mention that everyone who submits a question will be automatically entered to win an iPad and $500 to donate to the Boys & Girls Club of your choice?! With a 12 year old boy who is constantly online, I have come up with a few ways to help ensure his online safety. 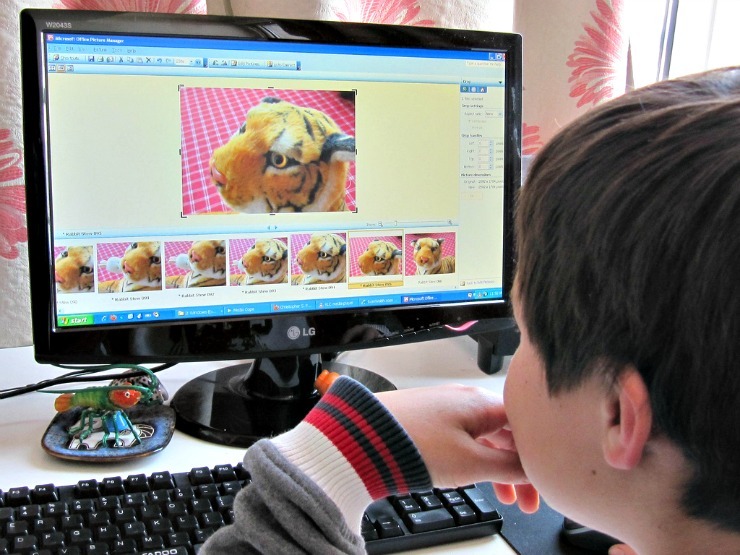 Talk to your child – I make a point of talking to my stepson about his online activities. I ask him questions about what he’s looking at online and who his friends are. I’ve even sat down with him while he is online in order to get a sense of what his online interests and activities are. I am not trying to invade his privacy, just give him a sense that he should never be afraid to show me what he is doing online. Set and Keep the rules – I make sure that the family computer is kept in the main room of our home. This allows us to be together while he is online. In addition, I have set firm time limits for when he is allowed online, and how long he can stay online. He cannot go online until his homework and any other chores are completed, and he can only go on for a limited amount of time. Of course, it is up to you to figure out what works for your family. Teach Cyber Safety – I believe it is extremely important for my stepson to be aware of the dangers of the internet. I have already explained exactly what is and isn’t OK, and have also detailed the potential dangers. I also make a point to have this talk with him every so often as I don’t believe it is a one-time-mention then drop it topic. I also make sure he knows how to avoid online dangers such as sharing personal information, sending photos to strangers, or open emails and attachments from people he does not know. In addition I have discussed with him about what he should and should not share publicly. One good rule of thumb is if you would not say it in person, then do not text it, email it, instant message it, or post it as a comment on someone’s page. Use privacy settings/parental control on devices and educate your child about them – there are so many social sites today that it can be hard to keep up with them. Again, since I work online, I am usually aware of them before he is, but still it is important that parents keep up with the latest. Luckily, many of these sites offer privacy settings and controls that can determine who gets to see your content before you post it. I make sure he is aware of these controls, and teach him why they are important. Check age restrictions – many online sites and services have age limits restricting who can use their services. Therefore, I always check a website’s terms of usage before allowing him to sign up for an account, and am crystal clear with him about which websites and services he can use. By utilizing resources such as the BCGA Cyber Safe Futures site, and sharing information with other parents, we can all help our kids get the cyber safe future they deserve! What are some of the things you do to help keep your kids safe online? Share your tips below.